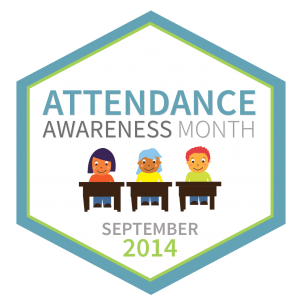 While there’s no common definition of chronic absences–or absenteeism–researchers (including City Connects’ Evaluation Team) use missing 10% or more days per school year. We know that chronic absenteeism is an important predictor of academic risk and dropout. So what does City Connects do for students who are chronically absent, or at risk for chronic absences? The City Connects practice ensures that all students strengths and needs are reviewed across academic, social/emotional, health, and family domains. An out-of-school issue in any one of these categories could contribute to a student not being able to get to school. As was first reported in the 2012 City Connects Progress Report, students who attended City Connects schools in elementary school are significantly less likely to be chronically absent than students who never attended City Connects schools. By grade 9, these students are 25% less likely to be chronically absent. Research shows that the freshman year of high school is an important year for students. A paper from the University of Chicago Consortium on Chicago School Research reports that students who end grade 9 “on track” are four times more likely to graduate on time than those who fall off-track. Help schools and community partners to intervene with chronically absent students through community-wide approaches to health and transportation challenges, as well as personalized outreach. We work with community partners local to all of our sites and take a collective approach to ending absenteeism, which is just one lever that will help us narrow the achievement gap together.